Along with what could be nine new members of the Congressional Black Caucus, the CBC will also likely feature five new Chairmen wielding the gavel of five committees in the U.S. House. Rep. Maxine Waters is slated to chair the powerful House Financial Services Committee, Rep. Bobby Scott will be the Chairman of Education and the Workforce Committee, Rep. Elijah Cummings will Chair the Government Oversight Committee, Rep, Bennie Thompson will Chair Homeland Security and Texas’ Rep. Eddie Bernice Johnson will Chair the committee on Science, Space and Technology. A leadership election will be held in the coming weeks to confirm the five as Chairs of the committees they are now the senior Democrat on. None are expected to be challenged. The gavel being held by five African-American members of Congress will give them the power to investigate, hire at least 30 new staff members each and control the policy agenda in the House. Two members who will very likely receive media attention over the next two months in the lead-up to the start of the new Congress in January 2019 are Reps. Waters and Cummings. Rep. Waters has been a leading critic of the Trump Administration. She has been vocal not only against Trump’s policies but has led push back on fiscal policies that impact millions of Americans. Rep. Cummings will have the power to investigate Trump. With the power of the gavel as chairman of the House Oversight Committee, Cummings will be able to subpoena Trump Administration officials. It will likely be a long two years as the 2020 campaign in discussed more vocally now that the 2018 campaign is over. 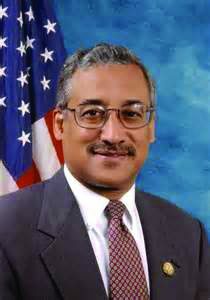 There is also likely to be at least nine new members of the Congressional Black Caucus. The new CBC Chairs on five House Committees will likely enjoy support of their membership on the committees they chair – as well as membership in the largest Caucus in the Congress.